Welcome to Randy Seidman Online! World Wide :: Release of "Been Forever" - a collaboration with The Maniac Agenda! Medellin, Colombia :: Randy Seidman, Cristian Varela, Pig & Dan, Sonico + More! Arcata, CA :: Infected Mushroom + Randy Seidman! Orange County, CA :: Shogun + Randy Seidman! Salt Lake City, UT :: Infected Mushroom + Randy Seidman! Denver, CO :: Infected Mushroom + Randy Seidman! Tampa, FL :: Infected Mushroom, Shreddie Mercury + Randy Seidman! Orlando, FL :: Infected Mushroom, Shreddie Mercury + Randy Seidman! Baltimore, MD :: Randy Seidman + Neil Kurland of Soul Mob! Baltimore, MD :: Infected Mushroom, The M Machine, Shreddie Mercury + Randy Seidman! Philadelphia, PA :: Infected Mushroom, The M Machine, Shreddie Mercury + Randy Seidman! Burlington, VT :: Infected Mushroom, The M Machine + Randy Seidman! Boston, MA :: Infected Mushroom, The M Machine + Randy Seidman! Portland, ME :: Infected Mushroom, M Machine + Randy Seidman! Koh Phangan, Thailand :: Randy Seidman + More! Baantai, Thailand :: Randy Seidman + More! Los Angeles, CA :: PEX vs Playloop L.A. presents The 12 DJs of XMAS Part Deux. Seoul, South Korea :: Randy Seidman + More! Downtown Los Angeles :: Randy Seidman, Justin Paul + More! Los Angeles, CA :: John Digweed, Kazell, Randy Seidman, Darin Epsilon + More! Hollywood, CA :: Infected Mushroom, Randy Seidman + More! Hollywood, CA :: ResetLA w/Randy Seidman, Davi, Sean Essex + More! Zurich, Switzerland :: HERTZ w/Randy Seidman + More! Los Angeles, CA :: Reset LA w/Randy Seidman + Many More! Hollywood, CA :: Avaland (Giant) w/John Digweed, Randy Seidman, Cameron Van Peebles + More! Los Angeles, CA :: w/PEX vs PLAYLOOP w/Randy Seidman + More! Hollywood, CA :: Reset LA w/Trent Cantrelle, Freddy Be, Randy Seidman, Eli Wilkie, CVP + More! Hollywood, CA :: w/Randy Seidman, Justin Paul + More! Gerlach, NV :: Burning Man w/Infected Mushroom, Randy Seidman + More! Lake Elsinore, California :: Mountain Jam w/Randy Seidman and More! Rockdale, Texas :: w/Infected Mushroom, Kaskade, Funkagenda, Kyau vs. Albert, Pendulum, Randy Seidman + Many more! Denver, Colorado :: w/Infected Mushroom, Randy Seidman, Showtek + More! Hollywood, CA :: w/Randy Seidman + More! Huntington Beach, CA :: w/Randy Seidman & Andr3x. 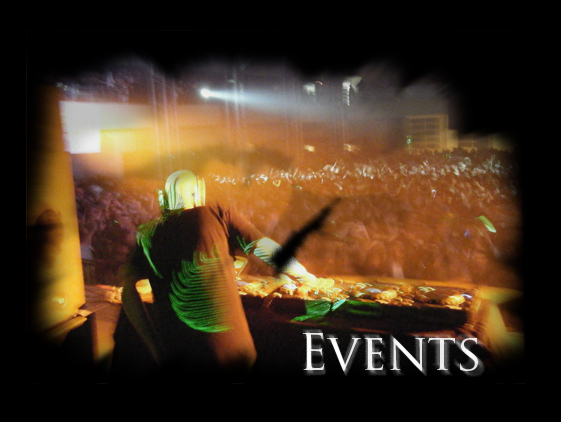 San Luis Potosi, Mexico :: w/Infected Mushroom & Randy Seidman. Baltimore, MD :: w/Infected Mushroom & Randy Seidman. Miami, FL :: w/Randy Seidman + Many, Many, MANY More. Orange County, CA :: w/Randy Seidman, Ryan Sage, and DJ Andr3x (Special Sunday Event). Minneapolis, MN :: w/Infected Mushroom & Randy Seidman. ETN.fm, World Wide :: w/Randy Seidman | 2:00pm PST. Hollywood, CA :: w/Randy Seidman (Birthday Set), John Day, Cameron Van Peebles + More. Monterrey, Mexico :: w/Infected Mushroom & Randy Seidman (To be Rescheduled). Queretaro, Mexico :: w/Infected Mushroom & Randy Seidman. San Luis Potosi, Mexico :: w/Infected Mushroom & Randy Seidman (To be Rescheduled). EM Sundays :: 4-year Anniversary w/Randy Seidman, CVP + More. Hollywood, CA :: Awakening (Insomniac) w/Infected Mushroom, ATB, Joaquin Bamaca, and Randy Seidman. Orange County, California :: w/Christpher Lawrence & Randy Seidman. Toronto, Canada :: w/Infected Mushroom, Mark Oliver, Randy Seidman, and Mark S1. San Francisco, California :: w/Infected Mushroom, Christopher Lawrence, Dyloot, and Randy Seidman. Boulder, Colorado :: w/Infected Mushroom & Randy Seidman. Aspen, Colorado :: w/Infected Mushroom & Randy Seidman. Mazatlan, Mexico :: w/Skazi & Randy Seidman. Dallas, TX :: w/Infected Mushroom & Randy Seidman. Houston, TX :: w/Infected Mushroom, Randy Seidman & DJ Mike C.
Austin, TX :: w/Infected Mushroom, Randy Seidman & DJ Mike C.
Houston, TX :: w/Randy Seidman, DJ Mike C, and DJ Red. Hollywood, CA :: w/Randy Seidman, D'Morse + More TBA. Vancouver, BC :: w/Infected Mushroom & Randy Seidman. Hollywood, CA :: w/Bob Sinclar; Randy Seidman & Cameron Van Peebles in the Honey Lounge. Hollywood, CA :: w/Infected Mushroom & Randy Seidman. Newport Beach, CA :: w/Infected Mushroom & Randy Seidman. Denver, CO :: w/Infected Mushroom (DJ Set) & Randy Seidman. Hollywood, CA :: w/Randy Seidman, Eli Wilkie, CVP & More. West Hollywood, CA :: Rise w/Randy Seidman & Cameron Van Peebles. World Wide, Radio :: Area Sirius XM Satellite Radio w/Randy Seidman [7pm PST]. World Wide, Radio :: Area Sirius XM Satellite Radio w/Randy Seidman [4pm PST]. Guadalajara, Mexico :: w/Steve Porter & Randy Seidman. San Francisco, CA :: w/Randy Seidman & More TBA. Boulder, CO :: w/Infected Mushroom, Randy Seidman and Gunslinger. Fort Collins, CO :: w/Infected Mushroom, Randy Seidman and Gunslinger. Hollywood, CA :: Monday Night Social w/Steve Porter, Randy Seidman & Steve Prior. West Hollywood, CA :: Rise w/Cameron Van Peebles & Randy Seidman. Hollywood, CA :: w/Steve Porter, Sebastian Leger, Eli Wilkie, Randy Seidman, and Franco Benito. Hollywood, CA :: w/Anthony Dimaggio, Cameron Van Peebles & Randy Seidman. Hollywood, CA :: w/Infected Mushroom & Randy Seidman [DOWNLOAD THE LIVE SET FROM MY DOWNLOADS SECTION]. Orange County, CA :: w/Darin Epsilon & Randy Seidman. Hollywood, CA :: w/Randy Seidman, Kazell, CVP and More. Orange County, CA :: w/Infected Mushroom & Randy Seidman. Los Angeles, CA :: w/Randy Seidman, John Pegnato, BA2LA and More. Boston, MA :: w/Randy Seidman + More. Syracuse, NY :: w/Randy Seidman, Mike Parkay, McNasty, DJ Drei vs Gomer. Hollywood, CA :: w/Randy Seidman, DMorse + Many More. Houston (TX) :: w/Yahel, Randy Seidman, & MikeC. Woodley Park (LA) :: w/Randy Seidman, Tyler Olson + More. Los Angeles, CA :: w/Android Cartel, Shoddy Lynn, Randy Seidman, Tyler O., Jesse H., Bryan Hustle, David Moses + More. Hollywood, CA :: w/Cameron Van Peebles, Sean O'Hara & Randy Seidman. World Wide :: w/Randy Seidman, Tyler O., & Patrick N.
ITunes, World Wide :: w/Randy Seidman. Monterrey, Mexico :: w/Randy Seidman. Monterrey, Mexico :: Anaya Presenta w/M.A.N.D.Y, Sandra Collins and Randy Seidman. Santa Barbara, CA :: w/Infected Mushroom, Gunslinger & Randy Seidman. Newport Beach, California :: w/Jay-J, Randy Seidman (mid slot), & Josh Billings. Miami (WMC), Florida :: w/Randy Seidman & many more! Downtown Los Angeles, California :: Zutra w/ Filo & Peri, Thomas Bronswear, Edgar V, D'Morse, Swedish Egil, Randy Seidman + more! Hollywood, California :: w/Randy Seidman & JR Gutierrez (Birthday Sets) + more! Miami (WMC), FL :: UMF w/ Sander Kleinenberg, Erik Morillo, Rabbit in the Moon, Carl Cox, Moby, Randy Seidman + More. Santa Monica, CA :: UNWIND W/Kristina Sky and Randy Seidman + Special Guests. Hollywood, cA :: Chemistry w/Filo & Peri + Randy Seidman and Allen S.
Hollywood, CA :: Giant w/Randy Seidman, Blake Jarell, Christopher Lawrence, Rank 1. Santa Monica, CA :: Randy Seidman, Kristina Sky, C Em_Soul, Brian Bartel, Alex Z.
Hollywood, CA :: Randy Seidman, Cameron Van Peebles, Erwin Tjoe, Mike Swells, Nic Fiorina. Santa Monica, CA :: UNWIND w/Adam Mitista, Matt Cerf, Kristina Sky, Randy Seidman, Adam Nello, C Em_Soul. Hollywood, CA :: Basic w/John Day, John Do, Randy Seidman and DJ Junjo. Radio, WorldWide :: Basic Frequencies w/Justin Gourley, Dory Kim, and Randy Seidman. Hollywood, CA :: Giant Saturdays w/Kaskade, John Do, Justin Gourley, AoS, Randy Seidman, Glycerin, Mark Tabberner, Jason Bentley - Giant 7-Year Anniversary Party. Sunday, October 1st @ The Sunday Sessions;Santa Monica, CA W/Randy Boyer of Enmass, Kristina Sky, Matt Cerf, Randy S, and C Em_Soul. © Randy Seidman 2010-2019. All Rights Reserved. Website was made by Vahag Byurat and hosted by RealPro.